Jack Agazarian was born in London in 1916. His father was Armenian and his mother French and he was educated at schools in France and England. On the outbreak of the Second World War Agazarian joined he British Army and was later transferred to the Special Operations Executive (SOE). In 1942 the SOE decided to establish a new network in and around Paris. Called Prosper it was to be led by Francis Suttill. On 24th September, 1942, Andrée Borrel was parachuted into France to prepare the way for Suttill who arrived on 1st October. A wireless operator, Gilbert Norman arrived in November and a second operator, Agazarian, arrived the following month. Agazarian, who had been joined by his wife, Francine Agazarian, became increasing concerned about the loyalty of Henri Déricourt and after being taken out of France on 16th June, he passed on these fears to Nicholas Bodington and Maurice Buckmaster. However, they were unconvinced and refused to recall Déricourt to Britain. On 23rd June, 1943, three key members of the Prosper Network, Andrée Borrel, Francis Suttill and Gilbert Norman, were arrested by the Gestapo. Noor Inayat Khan reported back to the Special Operations Executive that she had lost contact with the rest of the group and feared they were in the hands of the Germans. Gilbert Norman continued to send messages to London. Leo Marks, head of codes and ciphers at Special Operations Executive (SOE), was convinced that Norman was under the control of the Gestapo. Major Nicholas Bodington disagreed and persuaded Maurice Buckmaster to let him go to France to find out what had happened. Agazarian was recalled from leave and the two men were taken to France on 22nd July. Messages from the wireless owned by Gilbert Norman continued to be sent to London. Instructions were passed on to Bodington by Maurice Buckmaster to arrange a meeting with Norman at the address he had sent them. Bodington later claimed that he and Agazarian tossed to decide who should visit the address. Agazarian, who was convinced it was a trap, lost, and when he arrived at the address he was immediately arrested. Agazarian was tortured by the Gestapo for six months at Fresnes Prison before being sent to Flossenburg where he was kept in solitary confinement. On 29th March, 1945, Jack Agazarian and twelve other Allied officers were executed by the Schutz Staffeinel (SS). (1) Francine Agazarin, was interviewed by Liane Jones for her book A Quiet Courage. Although in the same network, my husband and I were not working together; as a radio operator he worked alone and transmitted from different locations every day. I was only responsible to Prosper (Francis Suttill) whom we all called Francois . He liked to use me for special errands because, France being my native land, I could get away from difficulties easily enough, particularly when dealing with officialdom. 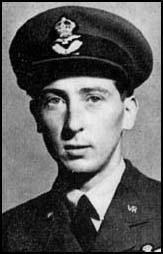 Fight Lieutenant Jack Charles Stanmore Agazarian (71106) (deceased) RAFVR. This officer was parachuted into France in December 1942 and worked as W/T operator for an important circuit in the Paris area. He was constantly sought by the Gestapo, narrowly escaping arrest on several occasions, but he continued his activities until June, 1943, when he was forced to leave France as he had become so badly compromised. He returned the following month, having volunteered to work with another circuit and, although the Gestapo had a photograph of him, he continued to act as a W/T operator. A few weeks after his arrival, Flt Agazarian volunteered to go to a rendezvous on behalf of his chief, knowing that it might be a trap. He was arrested on his arrival there and imprisoned at Fresnes. Later he was sent to Germany. Throughout his period of activity he displayed great courage and devotion to duty, in face of constant danger. 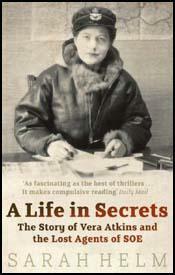 (3) Jean Overton Fuller, open letter to the makes of Churchill's Secret Army, broadcast in January 2000. The Germans expected Bodington to walk into a trap arranged over the German controlled radio-Archambaud. This he must not do. Yet if nobody walked into it, they would know he had warned Nick and they would both have been arrested. So Nick set Agazarian. It was an unhappy thing to have had to do. (Vogt had told me that Agazarian, when he was brought in as a prisoner, he expressed himself furious with Bodington who, he said, had sent him to the dangerous rendezvous being too fearful to go himself.) Spooner, however, when I had told him this, had said that if one or the other had to be caught it was "militarily" much better that it should be Agazarian who had little knowledge he could betray, than Bodington who knew the composition of every network in France. The could have mopped the lot up and this would have been the end of F Section. Dr. Goetz, who had been detailed to act for Boemelburg (Kieffer's chief) to act as 'Gilbert's' direct contact, when in 1985 he accepted an invitation from me to come to England and spend a week-end at my house, told me that after the wrong man walked into the ambush, considerable pressure was put on Déricourt to tell them of some other place at which they could arrest Bodington and he kept telling them of places "where he was not." It became obvious he did not want them to have Bodington. It was he to whom "Gilbert" gave the time and place of British aircraft expected arrival. On receiving the details he, Goetz would then ring up the German anti-aircraft batteries and say, "British aircraft, such and such type, approaching from such and such making for such and such location: do not fire at it." So the aircraft had a protected flight. Though it did look to me at a very early stage of my researches that both might be guilty, it now seems to me that the discrepancy between what Bodington wrote in his report on his return to London and what he later said at Déricourt's trial in Paris can be sufficiently explained by his understandable reluctance to say he had sent Agazarian to his death and why - which would have involved explaining all that lay behind it - without looking for anything more sinister. If Bodington had been a German agent the Germans would not have been trying to arrest him. The evidence Bodington gave at Déricourt's trial was not so very false. He merely represented as having been explicit expressed in words what had been tacit but implicit. It should be remembered that the charge against Déricourt was expressly that he had betrayed Agazarian to the Germans. Déricourt would have had to reply 'not me Bodington' had not Bodington come and given evidence that would get them both off. I owe no special consideration for Bodington as he never gave me an interview. But Déricourt gave me every cooperation, long hours of his time, during which he never took amiss the hard things I said to his face about what he had done and now that he is dead and unable to present his defence, I feel it a kind of loyalty to do that for him, as best I can - to hold the fort for him.